Italy and the UK are two countries that have always had a special relationship. Therefore, it is not surprising that the two countries exchange all kinds of information. To make this possible, English - Italian and Italian - English translations are essential. At Cosmolingo we have the translator to meet your needs. Our English - Italian translators have extensive and proven experience in the field of translation and, of course, are also native speakers of the target language. They are lovers and scholars of the language and are up to date on the evolution and use of the language. Count on us for all kinds of translations from English - Italian. Our Italian translators are able to translate in such a way that the recipient will be unaware that the text is a translation. See for yourself! Request a free quote! Throughout history, Italy has been the cradle of great cultures, such as the Etruscan and Roman, the epicenter of many of the European artistic and cultural movements and, to all intents and purposes, the political and religious center of the West for many centuries. Although naturally it cannot now be said to have the same dominance in global terms, the fact is that the Italian Republic, formed by the Italian Peninsula and the Mediterranean islands of Sicily and Sardinia, has a high human development rate, is one of the prominent members of the G8, with the political and economic influence that entails, and has taken part in the founding of such important international organizations as the European Union, the North Atlantic Treaty Organization, the Organization for Economic Cooperation and Development, the World Trade Organization and the European Council. Moreover, it is visited by tens of thousands of tourists from all over the world every year (in no other country has UNESCO declared so many sites and monuments World Heritage) and it has recently shown signs of discreet but undoubtedly promising economic growth. You are surely aware of the remarkable similarities between Spanish and Italian. Our languages could be said to be sisters, since both are included within the large Indo—European language family. What is known as modern Italian is the result of the cultural dissemination of the Florentine dialect during the Renaissance period and the subsequent linguistic unification; although there are other regional dialects which in some cases also have extensive cultural traditions, it is the only official language recognized by the Italian state. It is also the official language of the Republic of San Marino, the European microstate which, like the Vatican, is actually in Italy itself, and one of the official languages of Switzerland, where the small town of Campione d’Italia is located. And in Monaco, home to a significant Italian population, it is used relatively frequently. 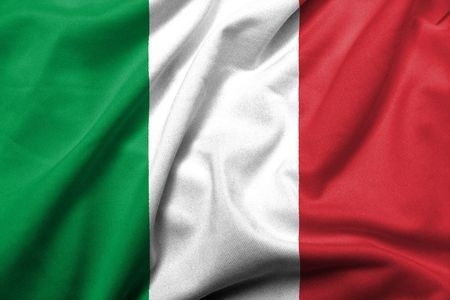 And we should not forget the large number of Italian speakers in countries like Germany, Argentina, where there are an estimated 25 million people with Italian ancestry, United States and the former colony of Libya, where this language is still a vital economic tool. In total, nearly 100 million people speak Italian in the world; by no means a negligible figure.